That kid from Grown Ups is a genius. 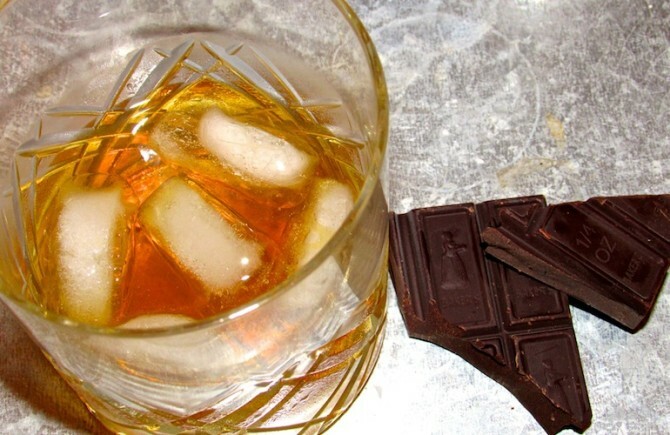 Hershey’s and hard shell ain’t got nothing on The One Night Stand Potion. 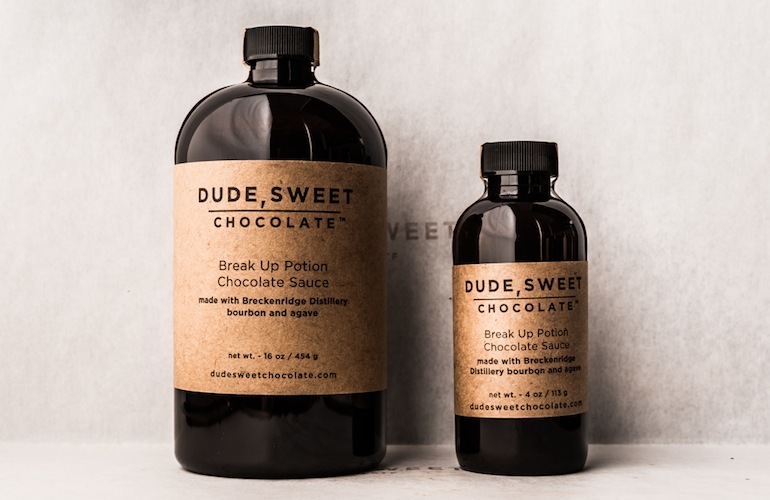 This heavenly concoction from the Dude, Sweet Chocolate company combines tequila, South American chocolate, Valrohna cocoa and agave syrup. It’s lactose-free so fear not my dairy-free friends, you can get as drunk as the rest of us. The bourbon goes best drizzled over apple pie, dumped on top of ice cream or snuck into coffee, just maybe not your morning brew, but on second thought… Anyway, the tequila is prime for adding to mango and pineapple sorbets or mixed into banana fondue, but both are awesome in a 3 to 1 alcohol to sauce ratio chocolate martini or just accompanied by a spoon. Bottles of 4 ounces cost $8 and the 16 ounces for those willing to go the extra mile, are $30. The hefty charge of shipping is well outweighed by the pure bliss that is getting dessert drunk.